If you are not familiar with diamond jewelry, especially when buying a diamond engagement ring, understanding what your options are in terms of diamond shapes which are available can be confusing. Almost all diamond shapes for jewelry come in one of ten shapes, they can be either round or fancy diamond shapes: round, princess, oval, marquise, pear, cushion, emerald, asscher, radiant, and heart. Below are brief descriptions of each of these shapes. Round: Of the ten diamond shapes for engagement rings, round is the most popular. As a result of the precise method that round diamonds are cut, this shape is able to optimize the reflection of light, which allows the maximization of potential brightness from the stone. If you are on a budget, but want options, round diamonds offers more flexibility when balancing other diamond characteristics such as cut and clarity to achieve your optimal brilliance and brightness. Princess: Of the fancy diamond shapes, princess is the most popular, especially for engagement rings. The princess diamond shape consists of pointed corners and is traditionally square in shape. It is important to note, that princess cut vary in shape, and some may resemble a rectangle more than a square, so it is important to verify the length to width ration of the diamond. If you prefer more of a square shape, look for a length to width ratio between 1 and 1.05. For a rectangle princess cut diamond, .a length to width ratio greater than 1.10 is ideal. Like round diamonds, princess shape offers flexibility when balancing diamond color and clarity, although color of the diamond may be slightly visible on the corners of the stone. Oval: The brilliance that is a oval diamond achieves is similar to that of a round diamond shape. The advantage of an oval diamond compared to a round diamond that the oblong shape of an oval gives the appearance of a larger diamond. 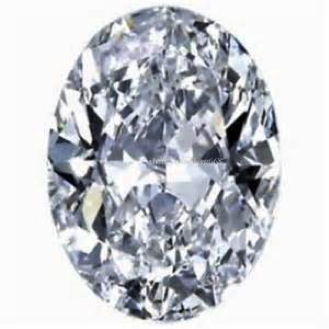 Like the princess diamond shape, oval diamond cuts may vary. A width to length ratio of 1.25 is similar to a round shape, while a width to length ratio of 1.75 is more oblong and resembles a typical oval. Marquise: The marquise fancy diamond shape resembles a football, it is long and narrow. 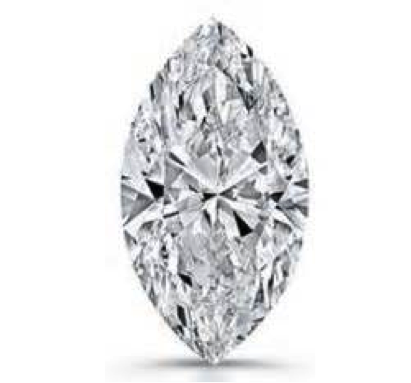 Like the oval diamond shape, the marquise diamond cut also creates the illusion of a larger diamond. When compared to all other diamond shapes, the marquise shape has one of the largest surface areas, which contributes to the perception of a larger diamond than the actual carat size. 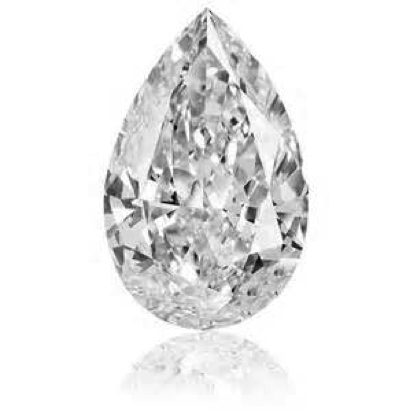 Pear: The pear diamond shape is a combination of the marquise and round cut and resembles a teardrop, with one end of the diamond forming a point and the other end is rounded. Optimal pear shape diamonds are symmetrical, where the point of the diamond on one side lines up with the apex of the rounded end of the stone. A more elongated pear shape diamond on a finger makes the finger appear slimmer. 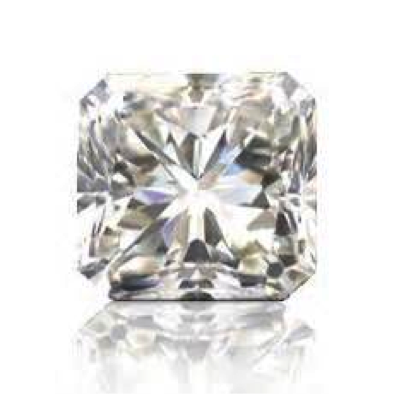 Cushion: Cushion cut diamonds, also referred to as pillow-cut, is a square cut, but with rounded corners. In a cushion cut, the diamond facets, or the flat surfaces of a diamond, are larger than other diamond cuts and enhances the brilliance of the diamond. Cushion cut diamonds may be square or rectangle, and once again the width to length ratio is important to verify. If you prefer more of a square shape, look for a length to width ratio between 1 and 1.05. For a rectangle princess cut diamond, a length to width ratio greater than 1.15 is ideal. Emerald: The emerald cut diamond shape is unique due to the step cuts of the pavilion, or lower half of the diamond. The emerald shape also has a larger open table, or the large flat area at the top of the diamond, which highlights the clarity of the stone. The color of a diamond is easier to see in an emerald cut, so choosing a higher level of clarity is optimal for this shape. 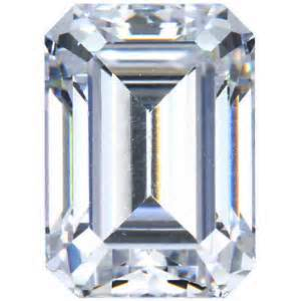 For a classic emerald cut diamond, look for a width to length ratio between 1.30 and 1.40. 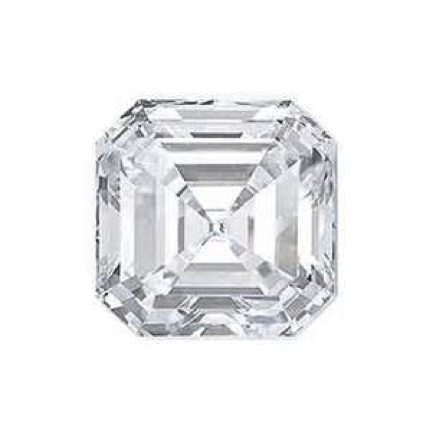 Asscher: The asscher diamond shape is similar to an emerald diamond cut, but is a square shape with larger step facets, smaller flat surface at the top of the diamond, and a higher crown. Compared to the emerald shape, the characteristics of the assher cut produces more brilliance. Radiant: Radiant diamond shape is a rectangular shape that has facet pattern both at the pavilion and crown of the diamond. 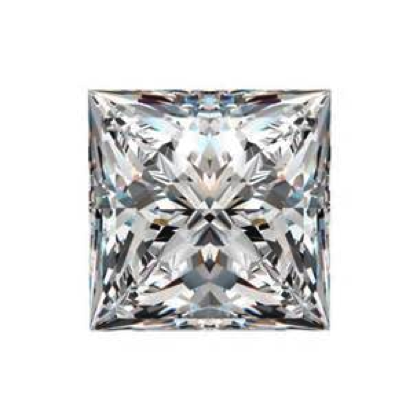 It is a great choice if you are looking for a diamond that is between a cushion and princess cut. The diamond has trimmed corners, and is perfect choice if you would like to have diamonds set on either side of the center stone, such as round or baguette diamonds. If you prefer more of a square shape, look for a length to width ratio between 1 and 1.05. For a rectangle princess cut diamond, .a length to width ratio greater than 1.10 is ideal. Heart: It’s no surprise that the heart shape diamond resembles a heart, the ultimate symbol of love. 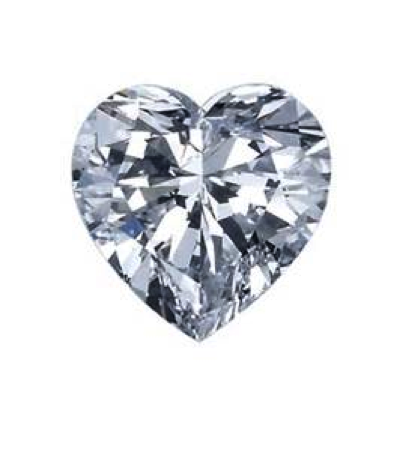 When choosing the shape, it is important to note that a heart shape diamond smaller than .5 carat it is harder to see the heart shape, so a larger carat size for this shape is recommended. Like other diamond shapes, the color of the diamond may be visible at the corners of the heart shape, so keep this in mind when choosing clarity and color. 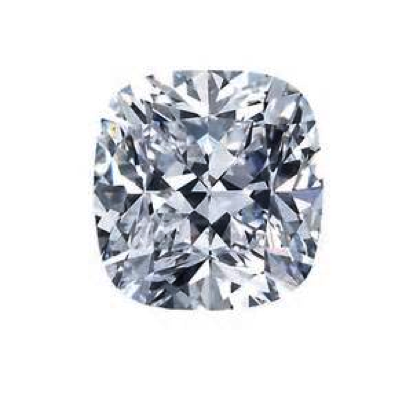 When looking to purchase a diamond online, you should be able to filter your diamond choice by the shape. 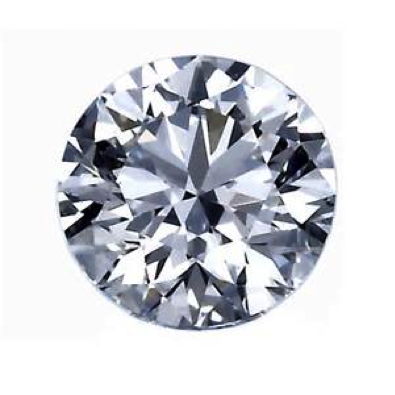 An excellent website for diamond price comparison, that provides a diamond shape filter, along with filters for clarity, color, carat, and cut is www.diamondhedge.com. This website aggregates loose diamonds available from the world’s leading jewelry companies, such as Zales, Blue Nile, and Kay Jewelers into an easily searchable database. When you are ready to purchase a diamond, diamondhedge.com is a great resource to use to make sure you are finding the best price available based on your specifications.